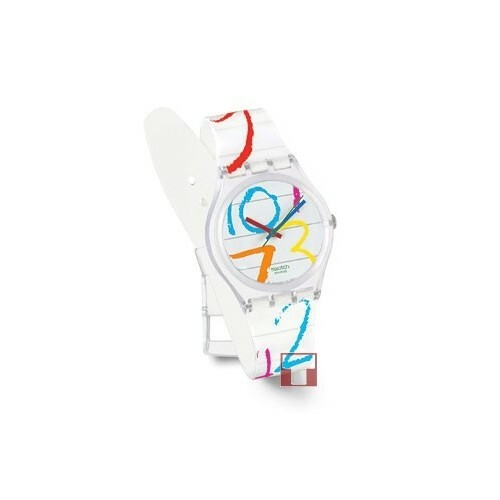 Ya’ll know I love SWATCH watches. 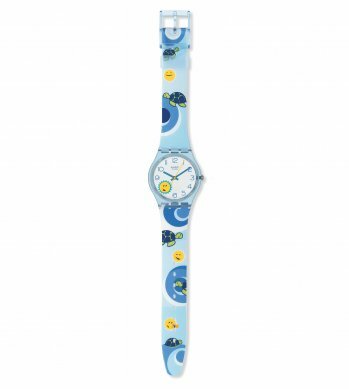 I love watches in general, but my love affair with Swatch started in the 4th grade when I received a Swatch for Christmas. All the girls in my new school had one, and I wanted to be in the ‘in’ crowd. I begged and pleaded with my mom – who said “No” to each request. But she tricked me and bought a royal blue plaid swatch for me. How about 2 months later I lost it! WHAA?? Yes. I went to the emergency room (during an asthma episode) the nurses made me take off all my jewelry and somehow the watch got lost in the shuffle. Sadness. 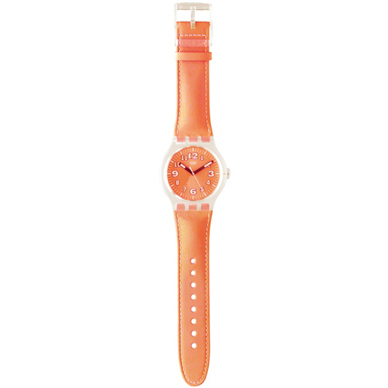 So after that, I was obsessed with watches and most specifically Swatch. I love the cute details, eye-catching graphic design, and the Swiss mechanics. Plus, each watch is a certified conversation piece. Make sure you check out the sale this week. Click the picture above to go to the sale page. This is called the FRESH SQUEEZED Pumpkin. Something very cute for the summer months. This is called AT SCHOOL. It has a notebook paper design on it. I like the fresh white background. Lately I’ve been wanting a lot of white watches. This one is called PAQUITA’s Day. Don’t know who Paquita is, but this watch is very entertaining.